15 Minutes A Day – 3 Days A Week? Why not aim for superior strength, flexibility, mobility, balance and coordination? I’ve not only created a program that show you the EXACT PROGRESSIONS that you need to do, but as a special bonus if you order today you will receive 2 FREE BONUSES that you can use to accelerate your results even further!! THAT’S OVER $169.95 IN VALUE!!! Just To Prove How Confident I Am!! $50, $100, maybe even $200? The entire Warrior Warm Up System has a value of over $169.95 but right now, you can save $150.00 just for this introductory offer, and invest only $19.95. 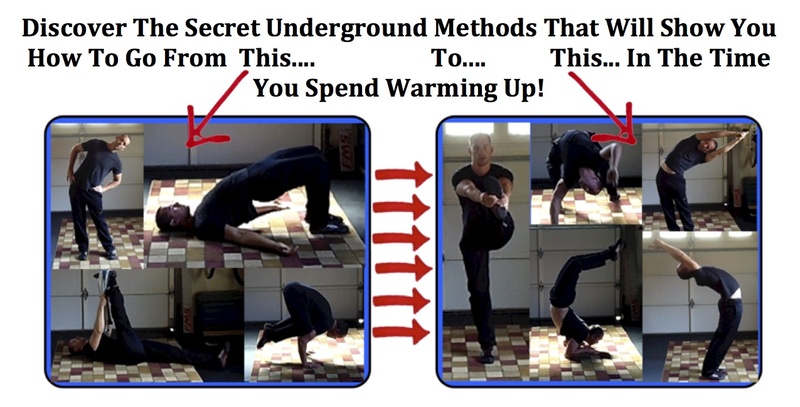 Now you can get the most effective workout warm up system ever created. 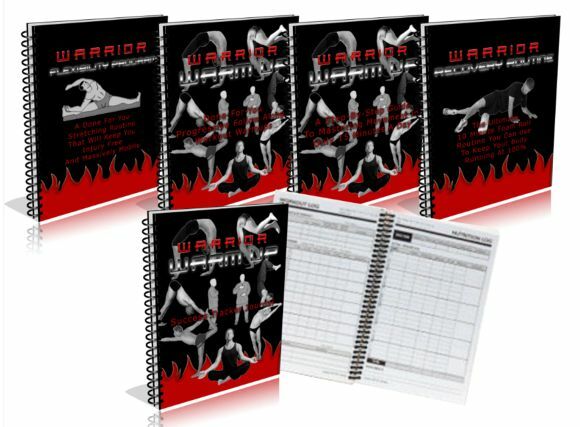 You get The Warrior Warm Up Manual, The Warrior Warm Up Follow Along Guide, The Success Tracker Journal and 2 Free Bonuses, The Warrior Flexibility Program and The Warrior Recovery Routine while saving 88% off the regular price. P.P.S. 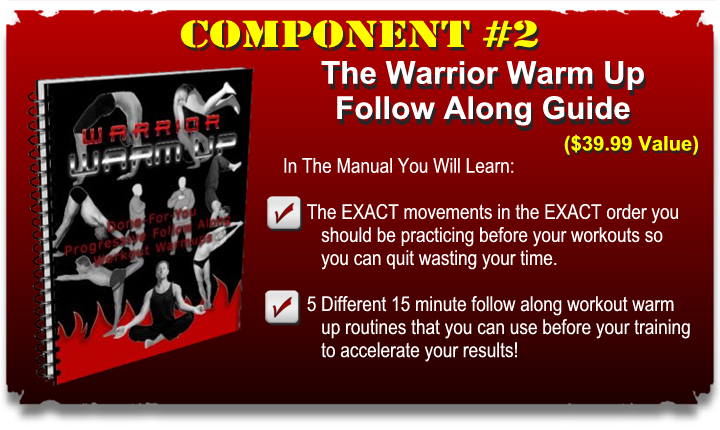 There is one catch to this however… You need to act now to get the complete Warrior Warm Up System and both free bonuses. 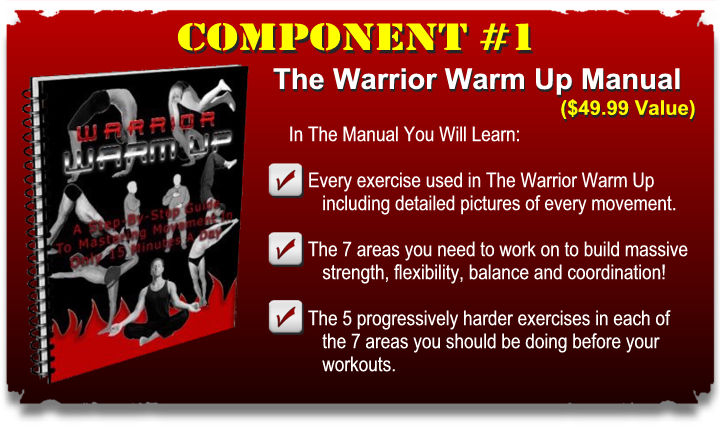 I’ve been told that the Warrior Warm Up System is way too cheap and this limited market test of only $19.95 will end soon, or if I decide to keep the price the same the free bonuses will be withdrawn at any time and put up for sale separately. 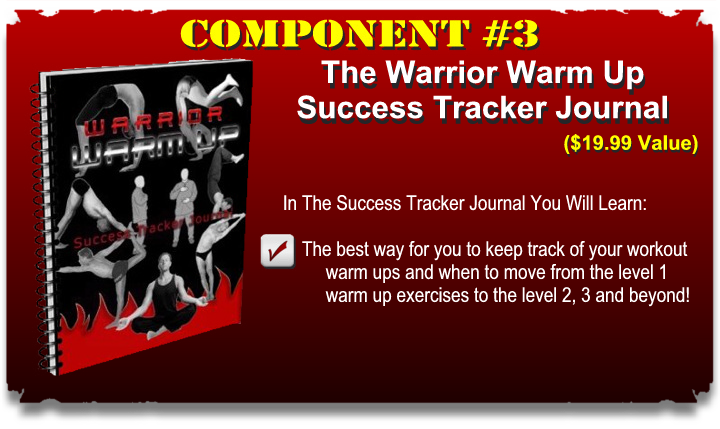 Just Click Below or you will miss out on this special market test to get your hands on the complete Warrior Warm Up System for $150 off the list price!